If you can keep washing your hair to a minimum, say two to three times a week, this will prevent your hair from drying out too much. Always ensure you dry your hair before leaving the house. 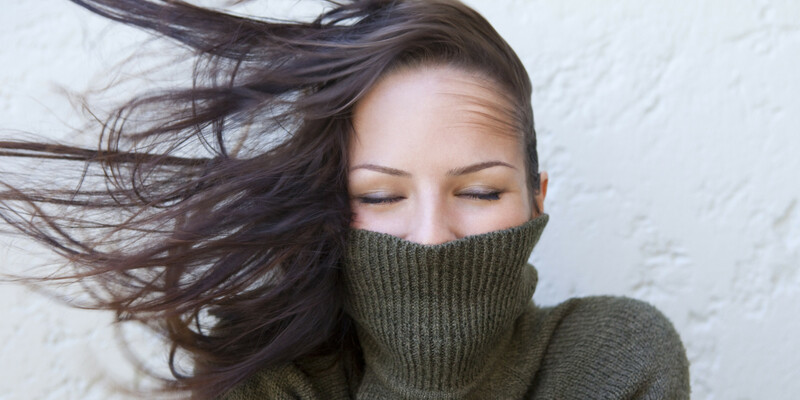 Not only because you could get a Cold, but the moisture in your hair combined with the cold air, will add further damage to your hair by making it more brittle and dry. During the winter months, it’s a great idea to treat your hair once a week to a deep conditioning treatment. This will help to replenish the moisture, which tends to get depleted from things such as the dry heat in your apartment and the cold winter air. Get a clear gloss. If your hair is looking as drab as the weather, a clear gloss will add instant shine. Book one with your next blow dry or trim. It will seal moisture in the cuticle of your hair and extend the life of your current color. Trimming off dry split ends every six to eight weeks will keep your hair looking bouncy and healthy. Routine trims are an easy way to keep hair shiny and strong during the winter.